Z&ZFOOD | Can't wait for lunch! So yesterday was my grocery day, me and my friend went to TnT, an Asian supermarket in Canada. 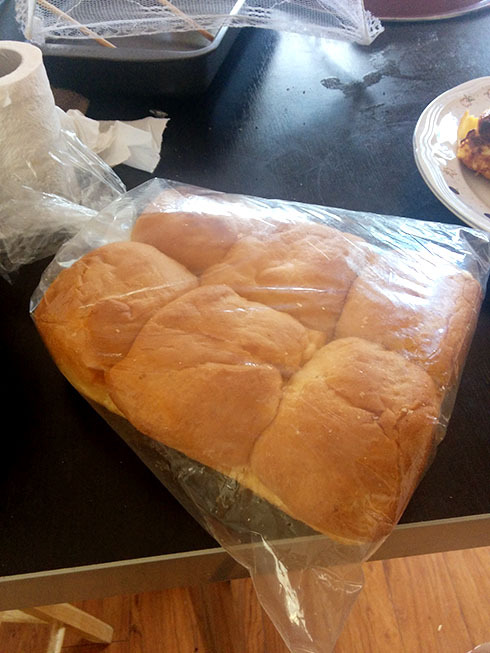 I bought egg bread because I haven’t had it in a while, but when I got home, I open it, the bread was Sahara dry. Not impressed. I got the inspiration from Brothers Green Eats for this recipe. They always have a good way to bring back old/dry food and giving them life.. lol. This is the egg bread that I bought. It’s not anonymous, the brand is on the other side. 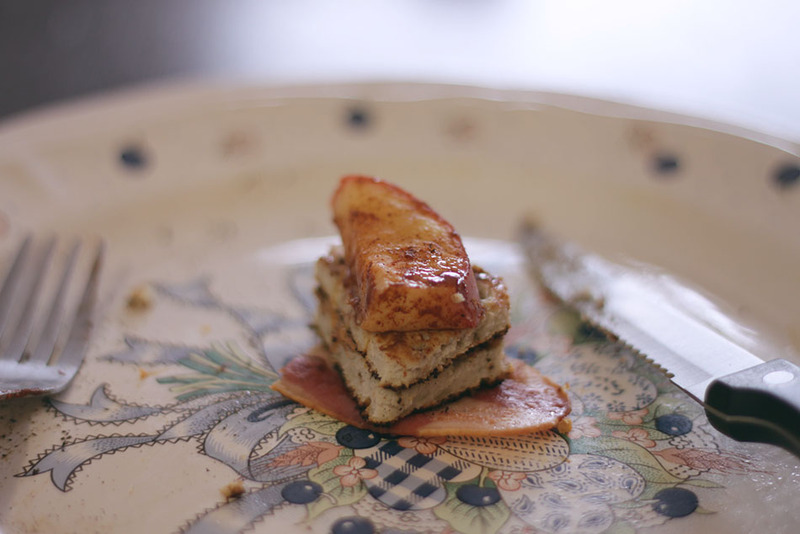 – Slice slits on the breads, don’t cut all the way through, just enough to stuff them. 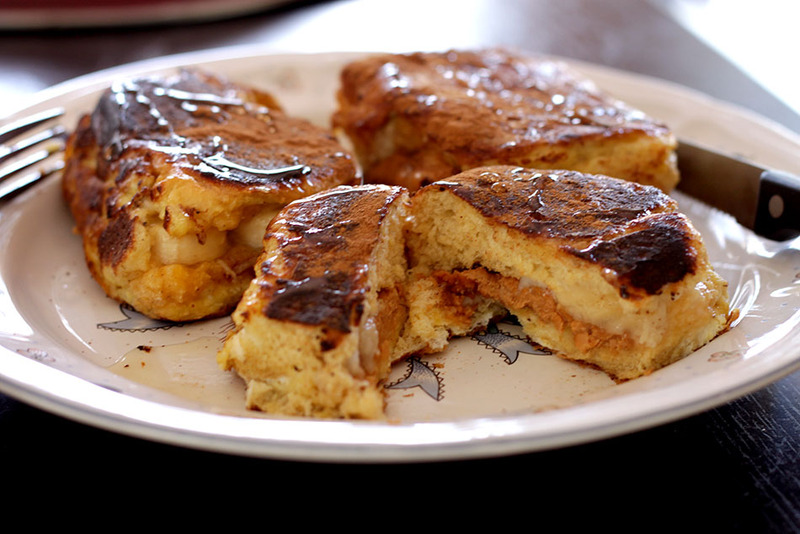 – Put peanut butter, banana and mozzarella inside, you can use jams and more you favourite fillings. I don’t like jams. 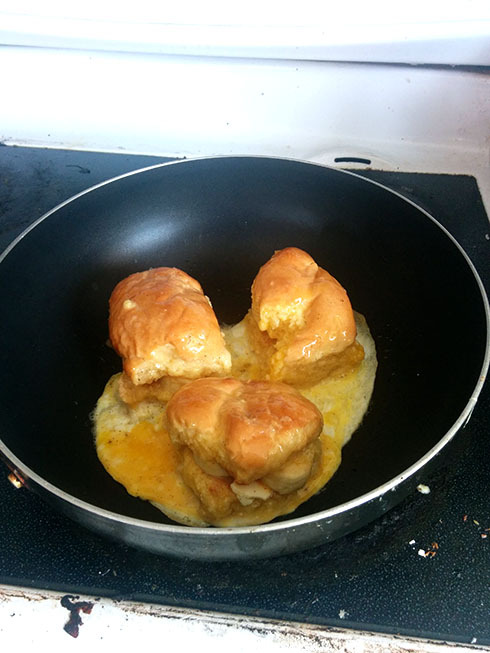 – Crack the eggs into a bowl, salt, pepper, mix and soak the breads into it. Make sure to soak it through. 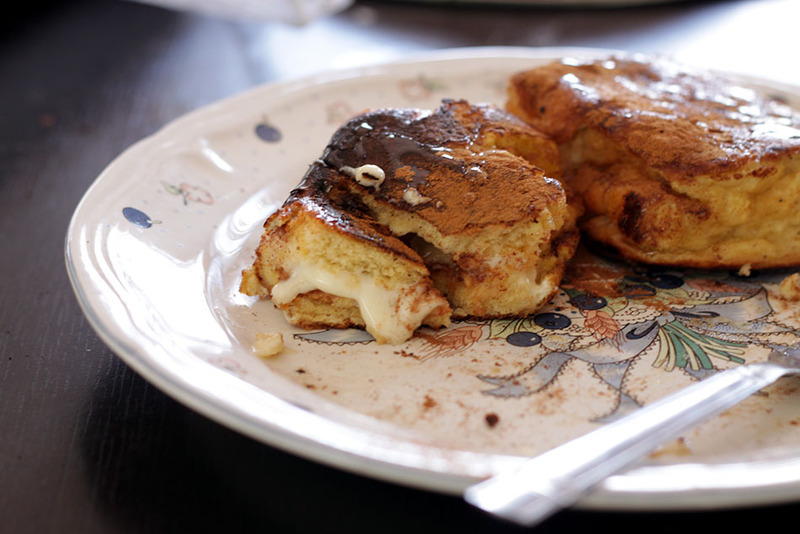 Cinnamon and honey on top, as always..
Look it that cheese melts..
Yeeeyy, last post was posted on 2012 hahaha, this is sad. I don’t think I can make excuses for that lol, so without further explanation where have I been and all, let’s just say, life was getting in the way. Now I’m back, solo, yolo, since I’m living separately from my sister. The foods/recipes that I’m going to post from now on are probably going to be HIGH CALORIES, cause..I like it that way. And also intermittent fasting (Google that if you don’t know about it), I eat twice a day so each meal are going to be dense and intense. Joking. But all the foods are still good, just share if you don’t or can’t eat them alone (lol). 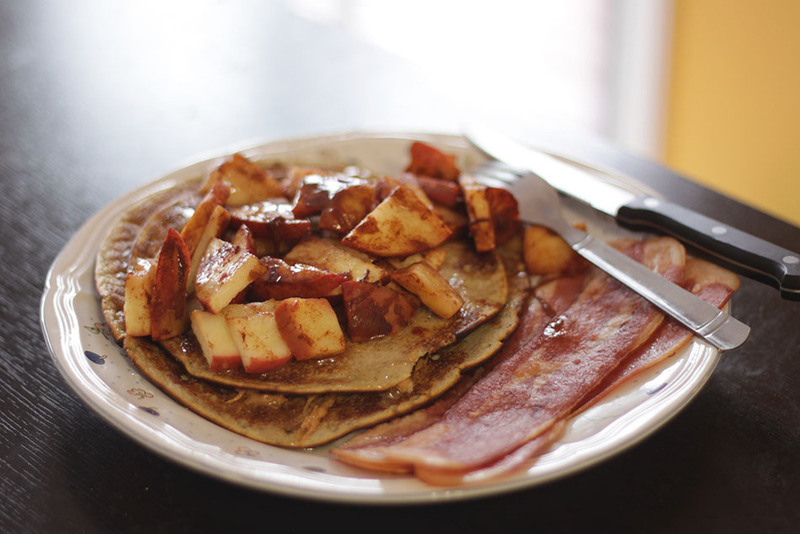 Here’s one of my favourite pancake to make, banana pancake. Because it only needs 2 ingredients and I’m lazy it’s super easy to make. – Mash the banana and mix it with the eggs, I use the blender so it’ll be smoother and faster, this way you’ll make a lot of bubbles in your batter. – While cooking the pancakes, slice the apples into small pieces and put it in a microwaveable container, put cinnamon in it and mix it, microwave for about 2 minutes. I got no one to share nor who I care so until the last bite it was all for myself. Soch poet, much deliciousness . One of the thing that I’d eat everyday if I have the ability not gaining weight how much I eat is probably peanut butter…. on e-ve-ry-thing. Too good, can’t resist, yep more than Nutella and bacon. One of my friend told me while I had my lunch that that day was the first time he saw someone bring sweet yam for lunch to school…. well, now he knows I do bring sweet yam cause they’re awesome! I love them more than potatoes cause I can just eat it without dressing or whatever, and I’m a sweet-tooth. Mom made us Indonesian food and had my bro to bring it last month. All of them are my fave Indonesian food. One calle serundeng, which is beef cooked with caramelized coconut; other one is fish abon, I love it but it’s a litte bit too spicy for me, I can only eat a bit by bit; there’s also a pork jerky kind of, it has a unique taste of spices and it’s sweet and spicy; last one is sweet tempeh, this one is the bomb, add it to any dishes with rice and it’s all good. Man I’m drooling now. Now this will be an eye pleasing one, sweet juicy warm or cold baked oatmeal casserole. This recipe I adapted from Urban Nester, I saw this recipe was Pinned on Pinterest so, here I tried with a different pan so it’ll be easier to eat it. – Mix rolled oats, brown sugar, baking powder, cinnamon, salt, half of the nuts, chocolate chips and berries. 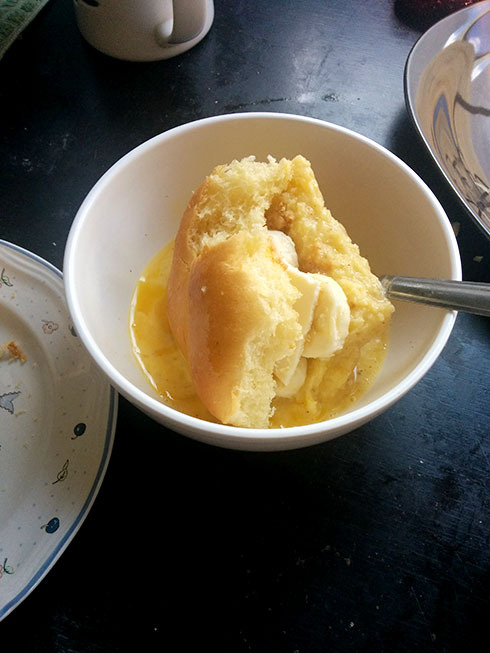 – Mix milk, egg, vanilla extract and the butter in the separate bowl. – Put the dry ingredients on the pan and pour the milk ingredients. Add the halves of the nuts, chocolate chips and the berries on top of it. – Bake at 375C for about 45-50 minutes. You have you breakfast for the whole week!~ Serve warm or room temperature. Not many people knows about overnight oatmeal, people usually cook them, but what if you don’t have the time to cook it in the early morning? Make it as a cup at the night before, pop it into the fridge and the next morning you’d have a cute nutrient breakfast. Another variety, you can add chocolate powder and mix it to the yogurt, but seriously, make one and you’ll know how fun is it making varieties of these cute cupped oatmeals. Have fun! It’s been a week, and I’m gonna post all the things I’ve made/eat this whole week, beware of the massive posting. Now, now, pizza, we just bought whole wheat pizza crust a couple of week ago and we had fun customizing our own pizzas (who I refer to ‘we’ or ‘us’ now will be me, sis and bro :D). I and sis ate 1/4 and the rest went to my bro. Guess which one was mine? I love full plate, so I added onions, bell peppers, spinach, tomato, mixed 3 cheese from Wallmart, and a bit of bacon. I love this crust, so thin and ended up super crispy. Just a quick idea you can pull of if you ran out of time to pack your bento.